Ireland / China: Please Take Action NOW To Stop Irish Greyhounds Being Sent To China – International Support Especially Welcome For This Campaign. Full Details Below. We ask ALL our international visitors to send e mails to the TDs listed below. Please use (or simply copy) the bullet points provided as the basis for your mail. This is a vital campaign which must be stopped. WORLDWIDE CAMPAIGN AGAINST IRISH GREYHOUNDS GOING TO CHINA GAINS HUGE MOMENTUM-YOU CAN HELP BE A VOICE FOR THE VOICELESS! URGENT LOBBYING NEEDED IMMEDIATELY FOR ‘CHINA CRISIS’ CAMPAIGN. 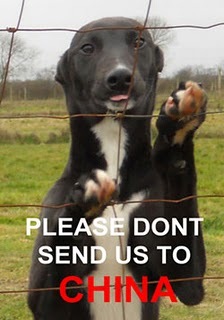 PLEASE PROTECT OUR GREYHOUNDS. WORLDWIDE LETTERS NEEDED NOW PLEASE! We are now asking all our national and international supporters to please support the vital appeal below from Greyhound Action Ireland by writing to all the Irish TDs (MPs) to urge them to do everything within their power to stop Irish Greyhounds being exported to China. Please see the email addresses below. Greyhound Crusaders/SWAP team UK have already written to all the TDs and some of them have replied already with their own grave concerns. Public pressure from caring people all over the world could help stop this barbaric idea of sending greyhounds to China. Please do not be put off by how many email addresses there are below. You could compose a letter and then copy and paste it several times and then copy and paste 3 or 4 blocks of email addresses at a time and then send the letter in your Bcc box. We tried to send the whole lot in one go but it wouldn’t send them all so we did it as we have suggested and it worked! You could try to send them all in one block and see if it works for you? Please take the time out of your day to do this as it is vital everyone writes. The greyhounds only have your voice, they rely on you to speak for them. Please remember Mahatma Gandhi’s wise words “The future depends on what we do in the present”. The greyhounds future relies on what we do today to protect them from the barbaric meat markets in China. After 1 or 2 years we are confident that the Chinese won’t continue to import Irish Greyhounds, they will implement a breeding programme of their own which would not be under the control of the Irish Greyhound Board, therefore the Chinese would be self governing and could do anything they like with the dogs!! Please tell the TDs there WILL be a national and international boycott of their country if this goes ahead. We cannot thank everyone enough for all their support with this top priority campaign! Please now see the important appeal below with full details. Please remember to keep all correspondence polite. WOULD YOU SEND YOUR DOG TO CHINA WITH THE IGB.???? also email Annemarie.daly@agriculture.gov.ie PERSON COMPILING INFO ON DOA CAVAN. URGENT: BULLET POINTERS FOR EMAILS. I have just been on to the Dept. of Agriculture who will ultimately have the job of deciding on this venture and if it will go ahead. · No decision is made yet. · The process is being checked to see if it is viable at the moment. Cavan office of DOA is dealing with this case. · Can you ring and stress the cruelty aspect of sending dogs to China. 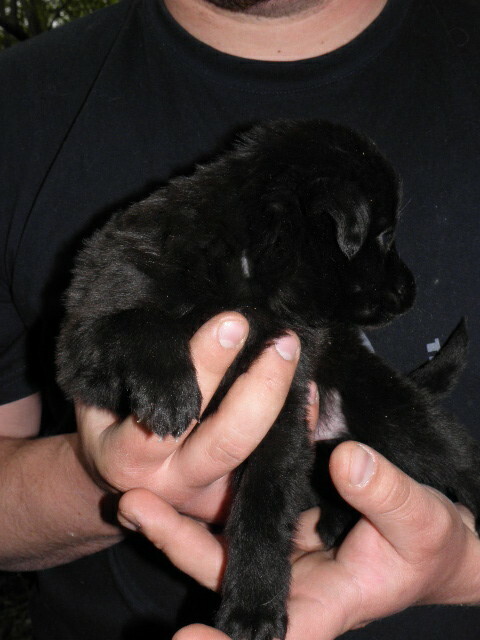 · If these were Labs or Shitzus’ there would be more outcry. 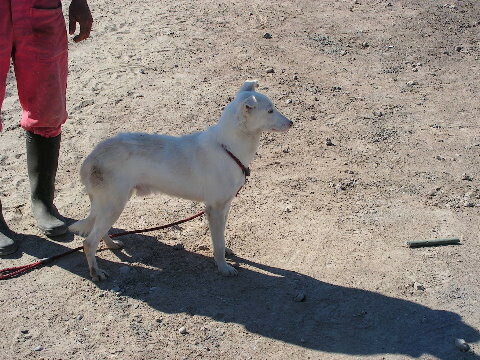 · Due to the large numbers of dogs that will be killed due to injuries, being slow etc. they will eventually end up as some other business be it fur or meat. · The IGB will not be burying these dogs when they kill them, that would cost money-meat is the most likely outcome and we all know the tenderising process etc. associated with that. They are tenderised ALIVE before killing. If most likely for meat they will not be killed by injection. · It is not a great idea to give sedatives to greys as they already have a slow heartbeat. 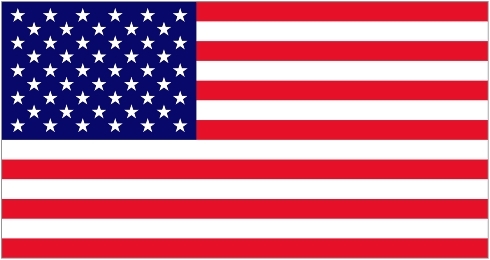 · What happens in China cannot be monitored by the DOA. E:email all TDs is better. Mr Simon Coveney , Minister for Agriculture, minister@agriculture.gov.ie Agriculture House, Kildare St Dublin 2. Ireland. Romania / England: 9 Romanian Dogs Coming to England Around 8th May – English Forever Homes Required Around the ‘Herts’ County Area. Can You Help ? Here are 9 new Romanian arrivals hitting our shores (Uk – England South East) on/around 8th May. If anyone would be interested in adopting one of these lovelies or knows of someone able to offer a very good permanent, forever home, please get in touch. They are all under 3-years old aside Tata who’s approx. 6 years old. 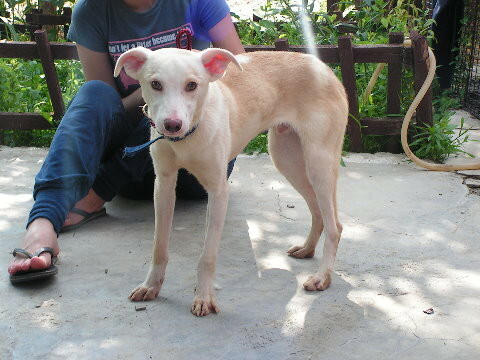 Once they are here in the Uk I can assess them better but they are all dog/people friendly. Some have been tested with cats, others haven’t. I’d prefer homes with no young kids so they can have a peaceful settling in period. Locations around Hertfordshire would be preferred, but other options around M25 considered. 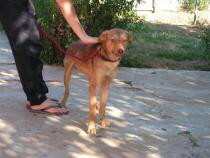 PLEASE DO NOT CONTACT SAV, instead contact Chrissy directly who is organising the move and rehoming. Filed under: Animals Requiring Adoption or Homes - Worldwide, CAMPAIGNS - Global Animal Welfare Issues, GENERAL NEWS - International / National / Regional |	Comments Off on Romania / England: 9 Romanian Dogs Coming to England Around 8th May – English Forever Homes Required Around the ‘Herts’ County Area. Can You Help ? Japan: The Government IS FAILING TO ACT To Save Many Thousands of Animals In the Evacuation Zone – Animals Are Dying / Starving to Death – Act Now and Ask the Government to Wake Up, Get Moving and Help Save the Surviving But Desperate Animals ! MOE are apparently in discussion as to how to act regarding the animals still within the zone (now illegal to enter). Your message can help persuade them to act. It only takes a minute – please ask for the animals in the evacuation zone to be rescued. It need not be much, but maybe they will listen. Thanks – Diana – SAV. With the level of help needed, the Japanese government has been blame that they are too slow to react and provide help in an efficient manner to those that are needed. Of course that delays the help to those that are most vulnerable – pets and other animals. Originally a 20 kilometre radius around the nuclear plant was designated as an evacuation area. At first, the residents in this area were told to “Evacuate immediately, but you will be able to come back here within a day or two”, so they left everything including their pets (they were told pets were not allowed in the shelters). However, after a while they were told by their government that their “home town” has became officially off-limits and they have not been allowed to go back to their homes to get their belongings, pets or other animals. In Japan, animals are viewed as “one’s belongings” under the law and they are not viewed as “life”. This comes from an old Japanese custom. Hence, there is no modern widely accepted animal protection law like in Western culture, it is creating a struggle for animals and rescuers in Japan especially in a situation like this. I understand that human life comes first, but in the evacuation camp, many people have lost everything–family, friends and home. Their only hope is to find and reunite with their missing pets. Some cannot sleep or eat because they feel so guilty about leaving their pets behind. Many people fell ill because of this stress. There may be people who don’t care about pets or animals, but there are people that are healed by our animal friends. UPDATE: On 4/20, Asahi.com has reported that Japanese government designated this area as “Caution Zone” which has legal power to restrict people from entering the area. They are allowing residents to go back to their homes and gather their belongings before such “Caution Zone” start to take effects. We would like to make sure that the Animal Rescue Groups and volunteers will also be allow to enter the area with the aid from the government (including proper protection gears from radiation and equipment) and rescue as many animals before its official close up. New Zealand: Easter Bunny Hunt Kills 23,000 Rabbits. In The Name of Jesus; The Ten Commandments etc ?? – And Youngsters Give It The ‘Thumbs Up’ – Dangerous !! Children giving the thumbs up to mass killing ?? – dangerous. Children being allowed to think that carrying guns and blasting living beings to death is ok ? – dangerous. The Ten Commandments, or Decalogue (Greek: δεκάλογος), according to the Hebrew Bible, is a list of religious and moral imperatives that were given by God to the people of Israel from the mountain referred to as Mount Sinai or Horeb. The Bible describes their form as being spoken by God and subsequently as an inscription God wrote with his finger on two stone tablets, which God gave to Moses. The Ten Commandments are recognized as a moral foundation in Judaism and Christianity. The text of the Ten Commandments appears in the Bible as two similar passages of length 14-15 verses: in Exodus 20:2–17 and Deuteronomy 5:6–21. These passages are referred to elsewhere in the Bible as the ten devarim (statements), which is the basis for dividing them into ten parts. You shall not murder or You shall not kill, KJV Thou shalt not kill (LXX οὐ φονεύσεις, translating Hebrew לֹא תִּרְצָח la ti-rəṣoḥ), is a moral imperative included as one of the Ten Commandments in the Torah, specifically Exodus 20:13 and Deuteronomy 5:17. The imperative is against unlawful killing resulting in bloodguilt. The Hebrew Bible contains numerous prohibitions against unlawful killing, but also allows for justified killing in the context of warfare, capital punishment and self-defence. Maybe she should go there – and it is South Island, New Zealand; not North Korea or, um, South Korea; friend or foe, I am not sure which is which Palin !!! 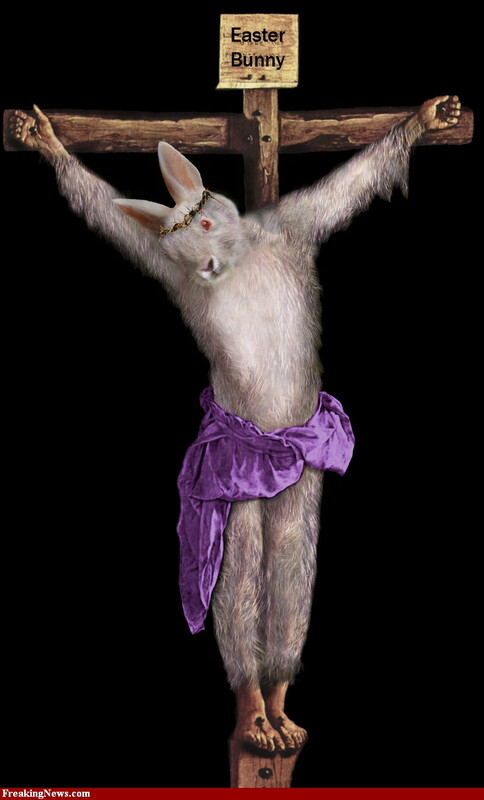 Would Jesus have supported this ? – maybe someone from the Christian church could enlighten us. 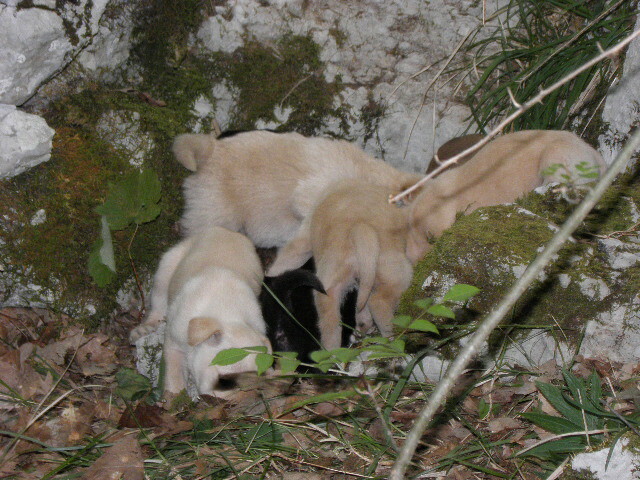 Croatia: Help Required to Find ‘Forever Homes’ for Mother Dumped In Woods Who Then Gave Birth to Ten Puppies . Can You Help Any / All of Them ? We require help to find homes for all these dogs. 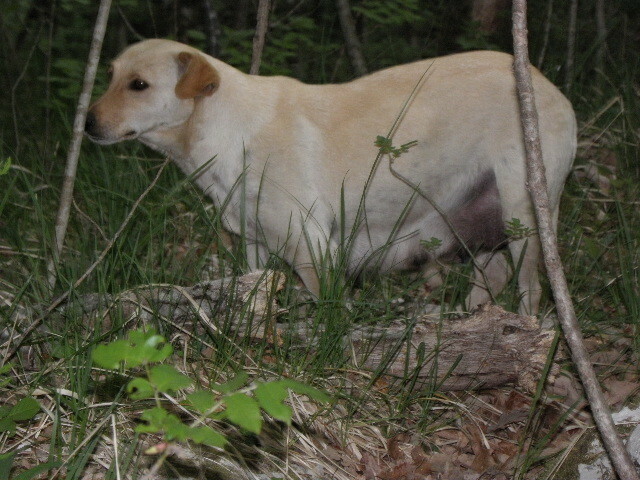 A pregnant female was dumped in a forest and she gave birth to ten (10) puppies – some of which you can see in the photographs. The animals are in danger because of hunters in the forest area. We have no further information but we suspect that the animals are now safe and waiting for new adoption homes. Do you know anyone who can help ? – These animals are in CROATIA. If you do then please contact the Croatian organisation LUNJO & MAZA. Note – Although we do have other pictures showing the original location of these animals in the woods; for their safety these are not being published. 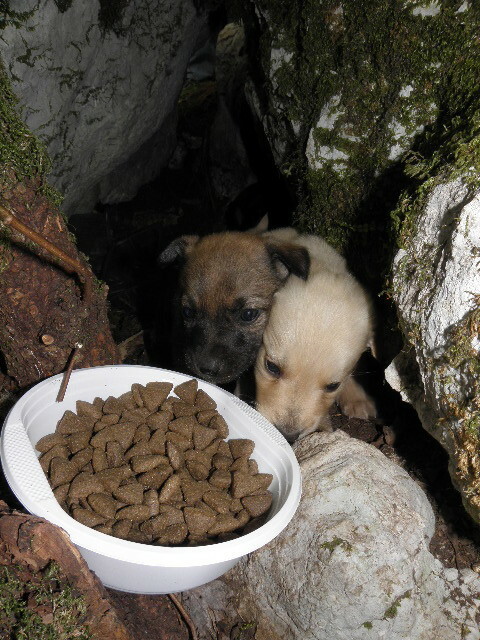 The Stray Dog Business in Romania – by Codrut Feher, FNPA. 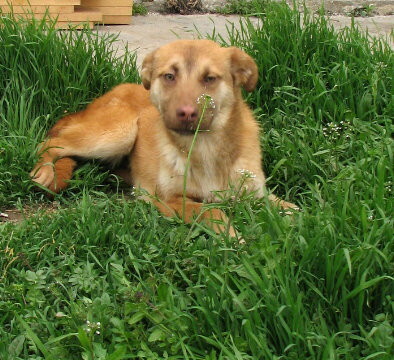 Between 2001 and 2011 the Romanian animal control people have killed hundreds of thousands dogs by spending tens of millions of EUROs in public funds, while the number of stray dogs only grew larger. Under the pretext of the “stray’s terror” generous budgets were allocated. The Bucharest do catchers spent about 13 million EURO in 7 years. 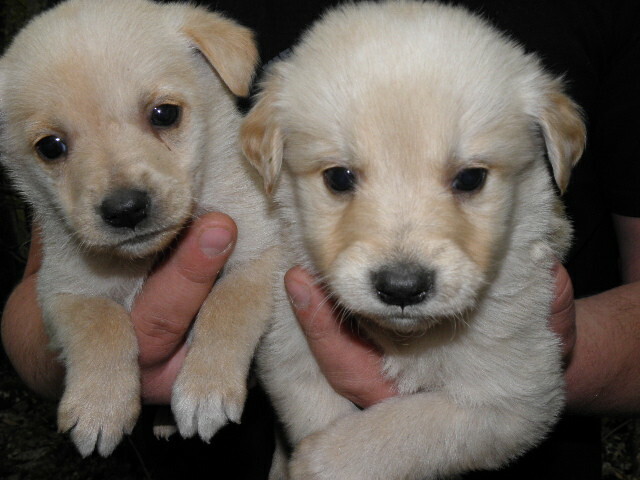 The dog catchers in Brasov spent about 2 million EURO in 8 years. 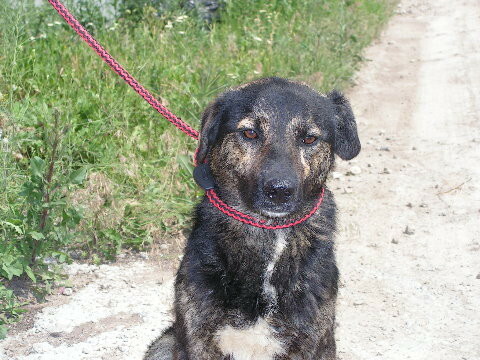 Overall it is estimated that Romania spent between 25 and 40 million EURO on strays from 2001 until 2008. – The flexibility of the budgets. 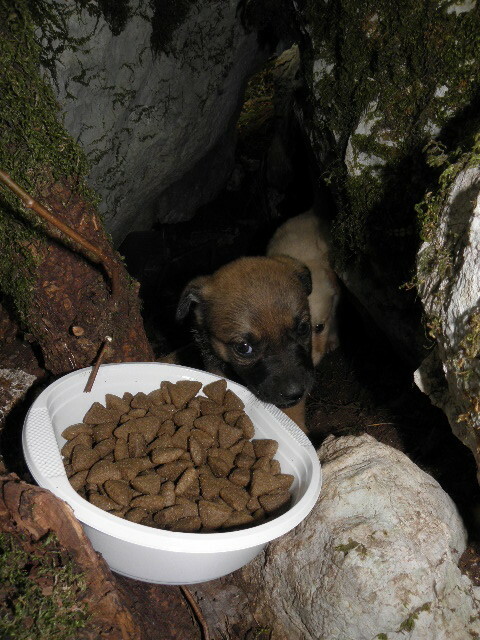 Contrary to the popular belief that fuels the anti-stray protests, the money spent on food for the strays was just a infinitesimal part of the budget, as the dog were being fed “subliminal” quantities, to quote the so called specialists from DSVA Brasov. Out of a total budget of 1,500,000 lei for 2008, the dog catchers in Brasov allocated only 5,000 lei for the dog food, less than 3%. Instead enormous gas quotas were approved. In Brasov, 4 rundown old cars with easy to tamper with mileage tracking systems were each allocated about 350-400 l of gas per month, which means each car did about 100 km/day. Land was rented for the municipality shelters, despite that fact that local authorities had land they could build on. In Brasov, the municipality paid in 8 years more than 1,500EURO/month (170,000 EURO in total) to the owners of a former swine farm that was in really bad condition and it also invested in modernizing the farm. All of this while it could have built a brand new shelter with 15,000 EURO on a land it owned. About 100,000 lei were annually spent on tranquilizers and lethal substances, but nobody ever checked that against the number of dogs reported caught and/or euthanized. These substances were bought illegally (without prescriptions), used illegally (because the dog catchers got lazy and started to catch all dogs with tranquilizers, committing two felonies and one ?) and may have even been used or sold as drugs (Vetased, the most used tranquilizer contains ketamine, which is used as a drug and is legally considered drug since 2010). In Brasov, the chief dog-catcher even got to buy his own jeep, a Mitubischi L200, for about 30,000 EURO, under the pretext of helping large animals, such as cows, pigs. Bears, rhinoceros or giraffes that might have wondered into the public roundabouts build by mayor Scripcaru. Rumor has it that the jeep is used in certain weekends by two local authorities in their hunting trips. – The business of gathering dogs. – The counting of the dogs. The audit of the activity of the do catchers was a chimera. Nobody was really counting the dogs. Nobody knew how many dogs actually went through their hands, from capturing through incineration, especially since the documents for Protan (the incineration company) were filled out by the dog catchers themselves who approximated the weight of the bodies, filling in numbers with a lot of digits and even decimal points, and tried to make it match the number of dogs they claimed to have caught. It was very easy for them to claim for example they caught 5,000 dogs while in reality they caught half of that number. The dogs that (fictionally) entered the center were also supposed to (fictionally) leave the shelter. 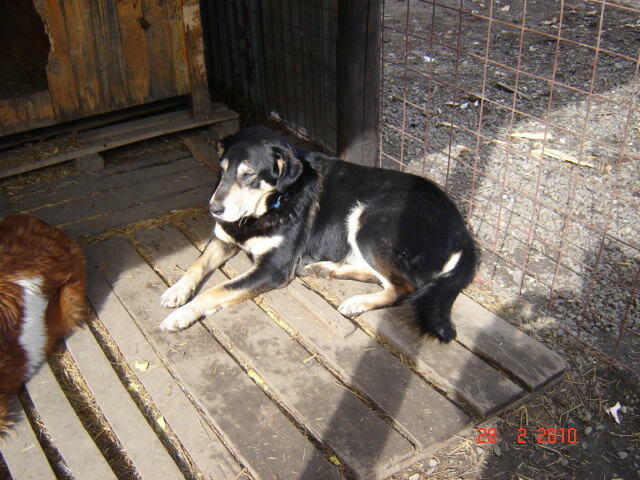 On June 25, 2009, according to the official documents, between 131 and 54 dogs were killed in Brasov. A witness and several documents point to the fact that only 90 animals were killed and that those dogs were from Victoria, Fagaras and a few other towns. 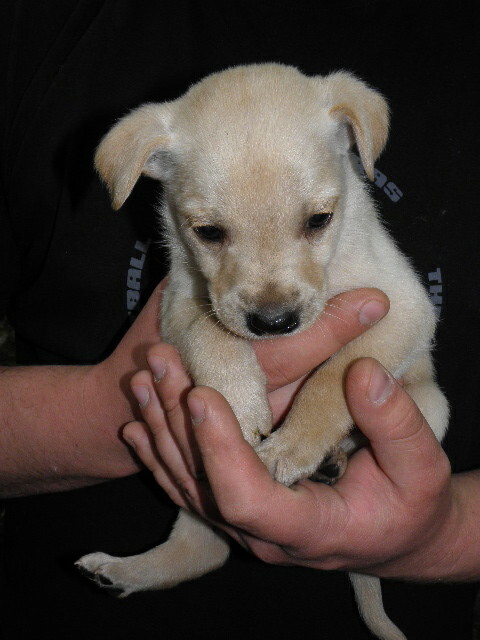 In November 4, 2009, the Brasov dog catchers captured 46 dogs in Covasna. 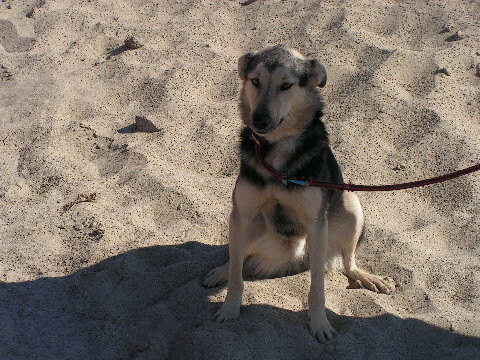 People from Covasna were told that the dogs were in the Brasov shelter and people from Brasov were told they were in the Covasna shelter, but the dogs were not found in either shelter. 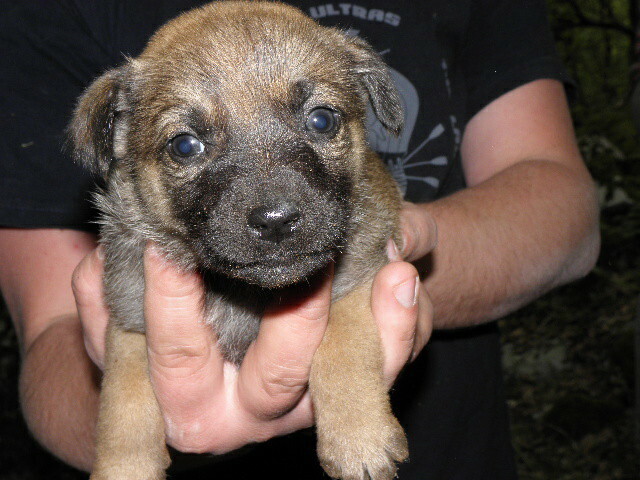 On June 1st 2010 the Brasov dog catchers caught 48 dogs in Sangeorgiu de Mures and transported them to the Reghin shelter. 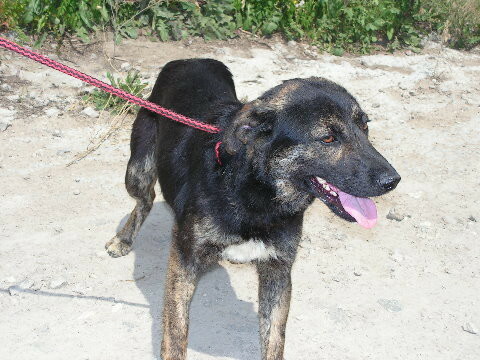 The Reghin shelter received and registered only 25 dogs. Another way to make money was to manipulate the adoption numbers, especially the adoptions towards private shelters: adopted dogs were also counted as euthanatized. 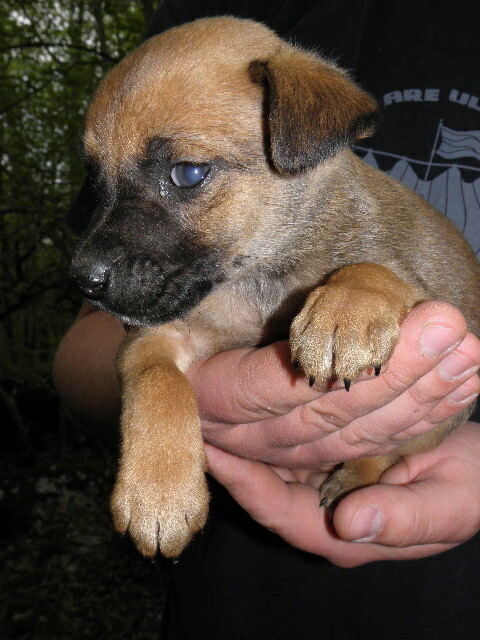 In 2008 at least 400 dogs were adopted from the Brasov dog catchers by the “Millions of friends” rescue association. In the official documents that number is 0! Finally, another way was to modify the number of deceased dogs, by recording a smaller number than the real one and accordingly increase the number of euthanized dogs. For 2008, the shelter mortality as it resulted from official records was of 79 dogs, meaning a dog died every 4 days. In the first months of 2009, the mortality was of only 23 dogs, meaning a dog did every 8 days. In reality, the number of dogs that died in the shelter is much higher: at least 300-400 in 2008 and at least 150 in 2009. And there were also the dead dogs that were found in the city and which had to be, of course, euthanized. Through all of these manipulations the animal control folks were gaining about 25-30 lei per dog, by either selling the substances for euthanasia or by writing fictional invoices, in complicity with folks from the veterinary supply deposits. – PROTAN and how to incinerate public money. The incineration of a 20 kg dog costs 10 EURO (0.5 EURO/kg). Since most shelters don’t have weight scales and Protan reception documents specify that the quantity column should be filled out by the customer, the weight was eyeballed by the animal control folks. If you fictionally kill between 40 and 60 animals, you also need to approximate their weight and fictionally incinerate about 1,000kg, which brings Protan about $500 EURO. If you extrapolate this schema to a whole year between 10,000 and 15,000 EURO were embezzled in Brasov only. It was obvious that this whole embezzlement mechanism was accompanied by a long term strategy to keep the animals on the streets. When they were out hunting in other cities the dog catchers were catching everything they could get their hands on, especially dogs with owners or protectors and dogs that were sterilized and returned to their territory according to HG 955/2004. There were cases where dogs were taken while walking next to their owners or where the dog catchers went into people’s yards and took their dogs. A lot of the owners tried to negotiate a return fee smaller than the official one and eventually, especially in Bucharest, a “protection fee” paid to the dog catchers became the norm. Although the problem of the aggressive dogs was supposedly the number one priority, the animal control folks rarely caught aggressive dogs. 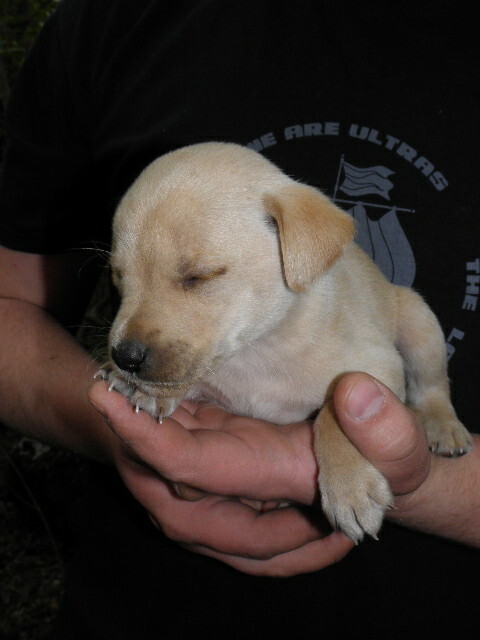 Instead they almost always took puppies and little, friendly dogs that were easy and safe to catch. This approach had the double benefit of keeping the dangerous dogs on the streets in order to perpetuate the “terror of the strays” while making the dog catchers appear as heroes and saviors in the eyes of the people. At the end of December 2007 the Deputies Chamber voted a modification of the Animal Protection Law(205/2004) also known as “Marinescu’s Law”.Among other things, this law classifies animal cruelty as a crime punishable by law and prohibits the euthanasia of healthy cats or dogs.It seemed as if common sense and logic had won over the hundreds of mayors and dogcatchers (who during 8 years managed to “bury” aprox. 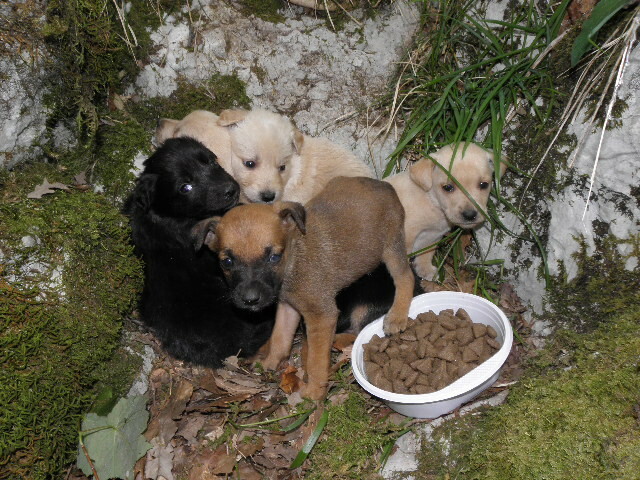 35 million euros in a mountain of stray corps).Also, during the same time, in December 2007, the Senate modified the law concerning the strays and replaced euthanasia with spay/neuter and returning to territory, according to the WHO’s guidelines. AND NOW COMES THE “PROBLEM”….These two new legislative measures would have solved the strays problem, leaving all of those who made big money from the “stray business” without their huge profits!!! All the dogcatchers and their “official sponsors” quickly realized that if the new legislative proposals (PL912) will be presented to the ADP in spring 2008, the new law will become definitive, as approved by the Senate.Their only chance was to postpone and prolong this indefinitely. This would have given the dogcatchers plenty of time to still operate as before , the solution wouldn’t have been applied and it would present later on as the perfect excuse to suggest euthanasia of all strays as the number of strays would have grown even more.Their evil plan worked, as the new legislative proposal (PL912) still has yet to be presented to ADP since 2008! Although euthanasia had been abolished, majority of public administrations across country continued the mass killing of strays , using the most absurd justifications: suddenly, all strays became terminally ill (backed up by false documents produced by corrupt state employees)or using “personal interpretation ” of the law. All this was going on with the silent approval of the official services for animal protection, just as corrupt as the public administrations: ANSVSA and DSVSA. Anybody that get the chance to see some of their official evidence of these atrocities would be appalled by the gruesome mistakes used to justify what they did . As many of these dogcatchers are paid by the local authorities , their only “enemy” are the NGO’s. Therefore, they are doing their best to keep the NGO’s as far away as possible, refusing any collaboration or cooperation with them. About a year later, once a few people started complaining about their dirty business, the almighty dogcatchers across the country started to be concerned and thus considered it’s the perfect time to start changing the law according to their interest. The “chosen” one to formulate the new proposal of law was no other than Barbulescu Flavius ( famous for killing 30000 dogs in 8 years and having at least 6 legal complaints against him) , supported by Simona Panaitescu. Both of then had the “blessing” of Brasov’s mayer, George Cripcaru, also known as “Dracula of dogs”,prominent member of PDL (Democratic-Liberal Party) and a man used to manipulate the laws according to his best interests. Once Barbulescu’s “masterpiece” was finished, they needed someone to make it public. And who better than Bucharest’s prefect , Mihai Atanasoaiei , well known for his embarrassing public speeches and appearances. After that, the game moved on to Elena Udrea and Sulfina Barbu. Sulfina Barbu:” I suggest that it should be mandatory by law that local administrations and NGO’S became partners..” …..that was all she had to say after all NGO’s representatives explained and documented 453,17 arguments against the reintroduction of mass euthanasia of strays. They have showed her in ever way possible why mass killing of dogs is inefficient,inhumane, absurd, very expensive and not cost-effective compared to the alternative,against WHO’s guidelines: They also showed her how during the last 7 years the officials did nothing to solve this problem the right way, how they delayed everything , didn’t pass the law , abused the power they had, continued the killings and misused the taxpayers money…..
And PRO TV is not the only one. There are other tv stations and newspapers in the same boat. She is one of the biggest supporters of euthanasia of all strays, as a future candidate for the Mayor of Bucharest. 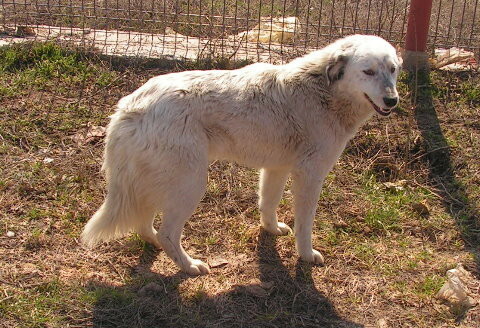 She encourages the passing of the anti-strays law, claiming that this is the “American” model, but failing to realize the HUGE differences between the two countries when it comes to animal welfare. 2008: Animal Protection Law prohibits mass euthanasia. ADP from Deputies Chamber blocks the discussion of this law for 3 YEARS!!! Meanwhile, local authorities continue the killing and totally ignore the solution:spay/neuter/release.They are officially breaking the law and try to cover for all who do that also. In Brasov, a German organization offered to spa/ neuter all the city’s strays but were completely ignored by local authorities. The only town were the mayor actually used spay/ neuter/release programs was Oradea, and the results are showing: in 6 years the population of strays decreased 8 times. So after 3 long years of blocking PL912 from being approved, the politicians want now to “solve” the stray problem by mass killing!!! Knowing very well that euthanasia is not a solution, they all want that as it is a guarantee for more dirty money to be made in the future from “the stray business”. Spay/neuter/ return programs would only jeopardize their source of dirty profits! On the 7th of March 2011 , when ADP tried to vote the “new and improved “PL912 with Atanasoaiei’s proposals, a miracle happened:the deputies decided to return the law to the Commission to allow the NGO’ s and Animal Welfare groups to be consultants and the law to be re-discussed after 3 weeks. This delay “caught by surprised” a lot of mayors too, who already counted on the mass euthanasia to be approved and were “ready” to take action, having everything ready do to “the job”. And strangely enough , during these 3 weeks more and more cases of strays shot , poisoned, beaten to death, burned , abused and tortured appear every day , all over the country. USA: ‘Mercy for Animals’ Expose Calves Being Killed With Pickaxe and Hammers at E6 Cattle Ranch in Hart, TX. At the Same Time, States Introduce Legislation To Imprison Those Who Obtain This Kind of Footage – The USA Has Got Things Wrong; Big Time !!! Undercover footage from Mercy for Animals at E6 Cattle Ranch in Hart, TX. Article below and picture copied directly from Health Freedom Alliance. Minnesota is at least the fourth state to introduce anti-whistleblower legislation. They got it from Iowa who got it from Florida. In the Minnesota bill, even just possessing undercover documentation of farm operations would be illegal. How they can enforce a law like that without invading people’s privacy, I do not know. These bills threaten to punish anyone who dares to highlight questionable behavior towards animals, seed and produce, sanitation and employees. “We think it would be an important deterrent tool in our toolbox against trespassers,” says Daryn McBeth, president of the Minnesota Agri-Growth Council. People, there are already strict trespassing and theft laws. Big Ag has all the legal recourse needed to sue or punish those who obtain footage of their operations, so why don’t they? Can you imagine dragging an activist into court and saying to the judge, “Look, he found out we were throwing live chickens into a grinder and put it on the internet. This violates my intellectual property rights!” No, their solution to the bad PR is slapping the whistleblowers with a major felony and throwing them in a cage with rapists, murders, and armed robbers. So they make the act of discovery into a crime to preclude such discoveries instead of accounting for their crimes, which, by the way, they believe to be perfectly acceptable industry standards. Since when is crying foul on criminal behavior like animal abuse and breaking regulations considered a crime? Any law that imprisons you by superceding your constitutional rights is null and void. But that isn’t going to touch Mr. Policeman when you explain as he hauls you away. Laws are laws, intentions are irrelevant to a judge. That’s what makes them so dangerous to your rights. You may think it only applies to those overzealous “tree hugger” types, but no, it means you too! Ironically, citizens are considered heroic when they turn in their neighbor or call in an anonymous tip to stop criminal behavior and abuse. Yes, even animal abuse! But boy, if you actually gather substantial evidence in a Big Ag operation and show the public when officials won’t listen – you go to prison for a long, long time. These bills remove the pea from the whistle should you witness something vile, whereas before you at least had the recourse of sharing with others. This encourages more abominable behavior; with more cover up, such actions are sanctioned, and the perpetrators can rest easy knowing the whistleblowers are silenced in prison. When USDA backed Big Ag operations are in violation of current standards, how do we know? Who cares – the USDA? Whistleblowers are often the only window for the public, and when embarrassing information is released, it often leads to raised standards. On a smaller scale, it works with the restaurant industry. Get an embarrassing (public) write up about cockroach infestations and suddenly the kitchen is overhauled, no expense is spared, and sanitation thrives in order to reassure those paying customers who like a fresh clean salad, hold the mouse poop. When these bills first arrived on the scene there was a lot of backlash, but our concern is that with more and more cropping up and some scaling back punishment, they will be more readily accepted by the public. Some reporters called the scale backs, “more reasonable.” Why? First amendment rights are still going in the grinder, citizens will still go to prison. The running theme here is force, force, force even if it’s currently undetectable. Forceful legislation from senators, funds from Big Ag and Monsanto to strengthen the force, the force of multiple states following suit, force from the ensuing law enforcement – force of slamming the door on the face of public scrutiny. It’s going to be increasingly difficult to catch these viral bills, inform others, and take action when they keep rearing their ugly heads like a nationwide game of whack-a-mole. But with such replicated force, much like a virus, you can see it is more important than ever to do something. Idaho HB166 *Part of their Right To Farm laws, this one would preclude “nuisance” suits from the public. Update: If you have information of your state’s similar bill, please email tips@healthfreedoms.org and try to include bill number if possible, bill link, and/or source article. If a new Minnesota bill becomes law, anyone caught going undercover to film or record animal abuses at a factory farm could be sentenced to five years in jail. Minnesota Joins Iowa And Florida In Criminalizing Animal Activists….this is wrong!